We promise to remain focused on “organic” and will continue to participate in outreach programs to promote the benefits of organic growing, while maintaining our leadership as one of the pioneers of America’s organic marketplace. When you shop with us, be assured that each product has been reviewed by our staff. We know you want quality, so we scrutinized every product in this catalog to ensure that it meets our high standards. Peaceful Valley is known in the growing community as one of the originators of the organic movement. PVFGS now enjoys ever-increasing recognition as one of the leaders in the field of organic supplies. Today, we have tens of thousands of customers and almost 60 employees! In January 2005, we purchased and moved into our current facility at 125 Clydesdale Court, one minute away from our former location. Our 2,500 SF store is now over twice the size of its predecessor, our 3,000 SF offices are about 50% larger (plus, we now have a conference and training room) and the roomier and taller warehouse (15,500 SF with a loading dock and two bays) has increased our storage capacity by approximately 50%. We have recently launched a beautiful nursery. Come and visit us, it's really worth the detour. Peaceful Valley Farm Supply 125 Clydesdale Court, Grass Valley, CA 95945 • Order Toll Free (888) 784-1722. Why buy from Peaceful Valley Garden Supply? Since 1976 we've worked hard to bring you the best price and selection of garden supplies for your organic garden or organic farm. Our online garden store GrowOrganic.com carries the garden supplies you need to grow organically including: organic growing supplies, organic fertilizer, organic pest control, organic seeds, garden tools, and so much more! We only carry premium quality gardening products--Guaranteed. 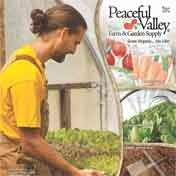 Peaceful Valley is your source for everything you need to Grow Organic. Our company goal is to offer home gardeners a wide selection of the very best heirloom, open-pollinated and hybrid seeds. We do not sell and will never sell chemically treated or GMO seeds. We choose varieties from all over the world that grow easily and perform well. We have been serious organic gardeners for over 25 years, using non-toxic, sustainable, and certified organic gardening practices in our trial gardens with great success and satisfaction. Everyone at Renee's Garden enjoys the organic produce grown in our gardens and it is a significant part of our diets. At the present time, continuous supplies of reliably certified, organically grown seeds are not available for many of the varieties we offer. We actively follow the progress of organic seed production and look forward to increases in organic seed availability in the near future. Our standards for buying seeds are very high, not only for germination and purity, but for proof of absence of seed-borne pathogens; so we are willing to wait for the quality seeds we require. Supporting organic gardening and sustainable farming is an integral part of Renee's Garden. We partner with a wide range of small organic seed growers and farmer cooperatives whenever they can provide the grade of seed we want to supply to our customers. We test all of our selections rigorously in our main Felton, CA trial garden and in a variety of trial locations around the country including Vermont, Washington and Florida before offering them to our customers, so you can grow them with confidence. We have also signed the Safe Seed Pledge developed by The Council for Responsible Genetics. The company has grown to offer 1,400 varieties of vegetables, flowers and herbs—the largest selection of heirloom varieties in the U.S.A.
Baker Creek carries one of the largest selections of seeds from the 19th century, including many Asian and European varieties. The company has become a tool to promote and preserve our agricultural and culinary heri­tage. Our company and seeds have been featured in The New York Times, The Associated Press, Oprah Maga­zine, Martha Stewart, and many others. Gardeners can request a free 128-page color catalog that is mailed to over 250,000 gardeners nationally. The “Seed Bank” store serves gardeners in Petaluma, California, and surrounding counties. 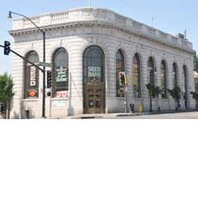 Located in the historic Sonoma County National Bank building, a beautiful structure in the heart of the retail district, it’s a beacon for gardeners, foodies, shoppers, and tourists alike. We offer over 1,200 varieties of heirloom seeds, garlic, tools, books, and hundreds of local hand-made gifts and food items. Remember—everything we offer is pure, natural, and non-GMO! Comstock, Ferre & Co. has stood the test of time, and despite being in the cross-hairs for demolition, has risen again as a vibrant seed house offering heirloom vari­eties to New England and around the world. 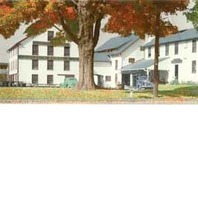 Comstock’s was founded in the very bedrock of American agriculture. Joseph Bel­den printed his very first price list of seed vari­eties in an 1811 issue of the Hartford Courant. In June, 2010 a new chap­ter began in Comstock’s colorful history as Jere and Emilee Gettle purchased the company to return it to its heirloom roots, where it all be­gan. The Gettles are working to restore Com­stock, Ferre & Co., to its glorious beginnings as an heirloom seed company. They are working to save what is left of the agricultural heritage passed down to us by searching out and pre­serving seed varieties once included in Bel­den’s and Comstock’s price lists and catalogs. Baker Creek Heirloom Seed Co., sells only open-pollinated, pure, natural, and non-GMO seeds. This has been and will continue to be our guiding principle. Why is this so? It’s because we are guided by the Golden Rule: we would not sell anything that we would consider potentially harmful to the health of others or the environment. What do these terms mean? Here’s a brief overview. Open pollination is achieved by insects, birds, wind, or other natural mechanisms. The seeds of open-pollinated plants will produce new generations of those plants. One of the bigger challenges in maintaining a strain by open pollination is avoiding introduction of pollen from other strains. Based on how broadly the pollen for the plant tends to disperse, it can be controlled to varying degrees by greenhouses, tall wall enclosures, or field isolation. Popular examples of plants produced under open pollination conditions include the heirloom tomato. Baker Creek is using tent enclosures in its own gardens to house the plants. Bumble bees are then introduced to control the pollination. This prevents cross-pollination from undesirable sources, as well as preventing cross-pollination between strains. Pure and natural seeds means that you start with a product that is untreated and free of pesticides. Although our seeds are not certified organic, they can certainly be used in an organic garden and many are grown by organic farmers. Also, they are not genetically modified. In sharp contrast to hybrids, Heirlooms trace their ancestry back many years to a time when pesticides and herbicides were not in use. As Jere Gettle, the owner of Baker Creek Heirloom Seed Company puts it, “Basically, an Heirloom seed is one that has been passed down through families and is usually considered to be over 50 years old. 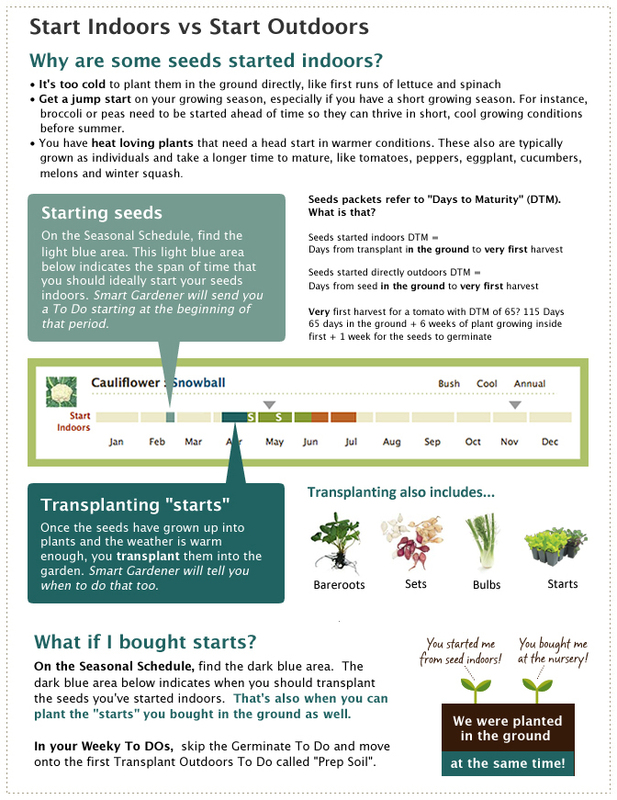 Some varieties even date back to Thomas Jefferson’s garden and beyond.” Unlike hybrids or GMOs which often have problems reproducing to the parent strain, Heirloom seeds can be saved and replanted, ensuring a trustworthy supply of family food year after year. The National Gardening Association is celebrating it's 40th year of empowering every generation to live healthier lives, build stronger communities, and protect our environment through gardening. NGA is a leading national provider of K-12, plant-based educational materials. With teachers and community leaders serving as guides, our school and youth gardening programs help children gain knowledge in math, science, literacy, social studies, nutrition, the environment, and personal skills areas such as leadership, problem-solving, and team building. The satisfying experiences of planting, cultivating, and harvesting fruits and vegetables creates a lifelong appreciation for healthy living. Beyond formal educational materials, our plant-based resources address pervasive health concerns such as poor nutrition and inactivity. By supporting thousands of school and community gardens nationwide, we help children and adults establish links between plants, gardening, food, and health. Gardens are a microcosm of the environment. Landscaping with water, native plants, and habitat-friendly gardens is a portal for understanding concepts and issues in environmental education both at home and at school. NGA's programs foster environmental stewardship by providing the resources, knowledge base, and tools to help learners become environmentally connected. We have a long-standing commitment to community initiatives. Founded as Gardens For All, NGA still strives to keep this philosophy alive by developing programs that help rebuild neighborhoods, instill community pride, build self-esteem, and “green up” urban environments. Community gardens provide a source of food, add aesthetic value, encourage physical activity, help preserve cultural identity and, most importantly, cultivate neighborhood relationships. Americans consistently rank gardening as a favorite hobby. To help people be successful in any setting, we provide a wealth of information, inspiration, and resources for novice and experienced gardeners alike. We actively promote “best practice” principles that result in healthier lawns and gardens, and encourage the public to appreciate and participate in a range of gardening activities. Safer® Brand carries the natural gardening products you need for your organic garden, lawn and houseplants. Our insecticides and herbicides are all natural, containing no synthetic or man-made chemicals. Whatever your organic gardening needs are, Safer® Brand can help. Safer brand is very active on Facebook, YouTube, and Twitter. Our community is a hotbed of sharing ideas, tips, and special deals reserved only to those connected with us on our social community. At Safer® Brand, organic and natural solutions is all we do! Through our tireless innovation and a customer centric new product development system, Safer® Brand continues to narrow the performance gap between organic and synthetic. 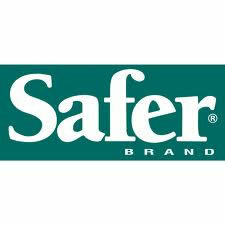 At Safer® Brand, we feel you shouldn't have to sacrifice performance when you choose organic compliant solutions. We proudly boast the largest and deepest array of organic and natural gardening, pest control and plant disease solutions on the market. Over 50 of our products have been certified organic by the Organic Materials Review Institute (OMRI) as well as possessing the USDA National Organic Program 'For use in organic gardening' seal. You can shop confidently knowing our products have been certified organic compliant by these 3rd party reviewers. Due to the large marketing dollars spent by companies who feature synthetic chemicals and the lack of information provided to consumers on the possible adverse effects of synthetic chemicals, natural and organic solutions were often overlooked. However, this is NOT the case anymore, and consumers are increasingly aware of the risk associated with using synthetic chemicals and are choosing to spend their hard earned money on what will not only eliminate their pests, but does not adversely affect their family or their food sources. Our seed company started in 1982 as an outgrowth of a love affair with heirloom varieties and in seed saving. 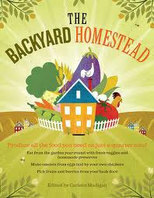 Southern Exposure Seed Exchange had its beginning in a small family garden and a kitchen co-opted for seed processing. The kitchen garden has since expanded to numerous growing areas supplemented by a nationwide seed grower network.Now the seed company has its own office, germination testing facility, and environmentally controlled seed storage areas. From the beginning we have believed that our seed company serves: (1) as a source for new, high performance varieties, and (2) most importantly, as a preservation tool for collecting and distributing varieties with special qualities: varieties with heritage, flavor, disease resistance, or other qualities of interest to gardeners. Some of our seed growers have opted not to become Certified Organic, although they do use natural, ecological methods. We indicate these seeds with an "e" symbol. Since certified organic farmers must plant certified organic seeds when available, we prioritize offering USDA certified organic seed for varieties that are particularly well-suited to market gardeners. Rare seeds that are best suited to home gardeners may be contracted to our non-certified but philosophically sustainable growers. We offer many unusual, Southern heirlooms, such as peanuts, southern peas, naturally colored cotton, collards, okra, turnip greens, corns for roasting and meal, and butterbeans. Customers are often surprised by the diversity of our heirlooms, especially our tomatoes, peppers, and melons. We think that after you try them, you'll agree that our tomatoes taste better! For over 25 years, Storey has promoted the practical virtues of creative self reliance. We're passionate because we do it too — we're gardeners, knitters, brewers, picklers, cooks, beekeepers, riders, hikers, builders, farmers, writers, and lovers of the outdoors. Somewhere along the way we got hooked — we found a great teacher or read a great book and were inspired to do more. We tasted a perfect peach and planted a tree. We watched our mother knit and copied her movements. We sat under the stars, then built an adirondack chair to sit a while longer. We're self reliant, but we haven't done it on our own. Our library of sustainable skills grows from the accumulated wisdom of generations: Learn to do something well and pass that knowledge along. Repeat. Repeat. Repeat. At Storey, we're dedicated to continuing this tradition. If you want to get your hands dirty, we'll be there. Storey's foundation is built on time-tested techniques and real-life experience. Our authors are experts in their fields (often literally!) — people who have dedicated their lives to increasing the richness of their lives and environments. They've been there, grown it, raised it, or made it. Our goal as a publisher is to make this incredible expertise accessible to anyone with the time and the passion. We value clear communication, easy-to-follow instructions, and practical photography and illustration. Whether picking up a needle and thread for the first time, or continuing a decades-old love of horses, readers know that they can turn to Storey for no-nonsense advice and new ideas — every time. 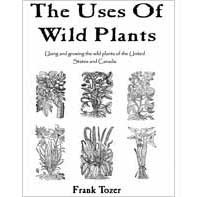 Frank Tozer is fascinated with useful and edible plants of all kinds (his home vegetable garden alone commonly contains over a hundred species). His most enduring interest is in creating a low input (low cost and low work) but highly productive food garden, that will provide food (and other essentials of life) year round. He believes that such gardens will eventually become an integral part of every ecologically sustainable household. It’s been pointed out that Frank's story parallels many earlier pioneers. He emigrated to a new continent, traveled across it on 4 wheels, built his own house, where he raised a family and tilled the soil. He lives in the Santa Cruz mountains and spends much of his time in his 2 ½ acre garden, where he tends (at last count) over 200 species (and countless varieties) of edible and useful plants. Exceptional books for earth friendly living. 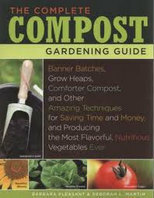 At Green Man Publishing we produce books about growing and using plants. We believe they provide a unique way for people to live more harmoniously on the earth. We are dedicated to bringing you the most useful books available on their subjects. Books with a minimum of superficial chat and a maximum of practical information. We may not be the biggest or most successful publisher, but we believe we can be the best, and if we can’t do it better, we just won’t do it. We want you to know that if you pick up a Green Man Publishing book, you will learn something. There is no other book quite like this unique guide to the plants of North America. Covering the uses and cultivation of more than 1200 species in over 500 genera, it is a treasury of information on every aspect of useful wild plants. Everything you need to know to create a low cost, low input self-sustaining intensive vegetable garden. 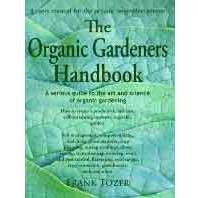 A serious guide to the art and science of organic gardening, it covers the subject with a depth that is rarely seen in contemporary books. 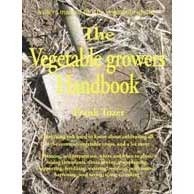 Written by an actual home vegetable gardener (Frank Tozer), this is an extremely practical and informative guide to growing over 70 common (and some less common) vegetable crops. 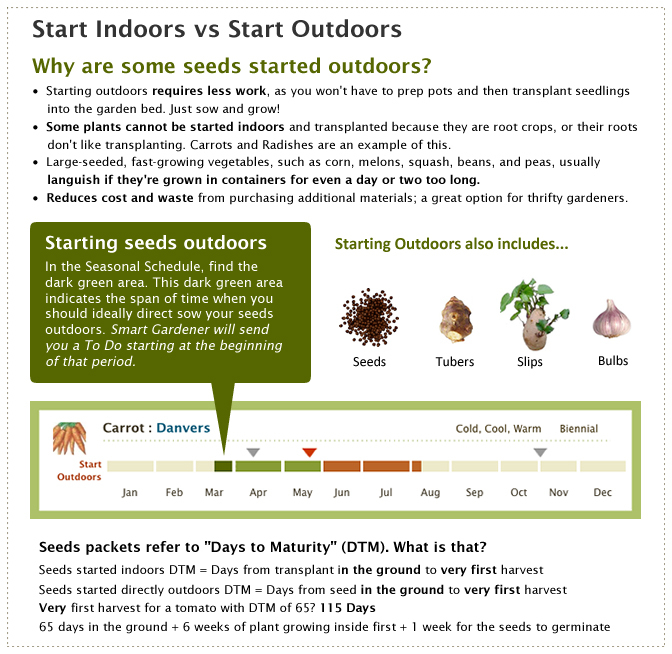 There are specific, step by step instructions for each crop including: soil requirements, variety selection, raising transplants, direct sowing, protection, watering, harvesting, seed saving, storage, extending the growing season, and more. Green Generations develops 100% natural, non-toxic sustainable liquid and mineral agricultural products that are utilized by commercial and residential growers of all types and sizes. Our goal at Green Generations is “creating a greener tomorrow, today.” We strive for this both literally and figuratively not only by developing 100% natural agricultural products to benefit soil and plant health and development - but also by working on new and innovative means of integrating our products into cutting-edge growing methods like aquaponics, hydroponics, urban and rooftop gardening to help growers that may be limited by climate, space or resources. Our customers includes professional indoor and outdoor growers, organic and biodynamic farmers, landscapers, nurseries, greenhouse growers, vineyards, compost and vermicompost producers, green roof installers, hydroponics and aquaponics growers, eco-restoration companies, grass-fed dairy and beef cattle operations, hard-core hobby growers, backyard enthusiasts, home gardeners and more. Whether you are growing fruits, vegetables, row crops, flowers, shrubs or trees, raising cattle, horses or other grass-fed livestock, restoring an area to its natural habitat or are simply seeking a safe and effective means of managing and developing the lawn, garden and plants in and around your home - our products can help. We work with universities, schools, non-profits and community organizations on education and research projects focusing on sustainability, urban agriculture, outreach programs, alternative gardening and ecological restoration and are active supporters of the local food movement. We recognize how important the next generation is, and that we need to set the example as stewards of the Earth.